NVIDIA GeForce 6xxx/7xxx: AA 8x, plus TAA, plus AF 16x. A note to those indignant readers who say that it's impossible to compare differently implemented AA modes. We have a single criterion: maximum quality. 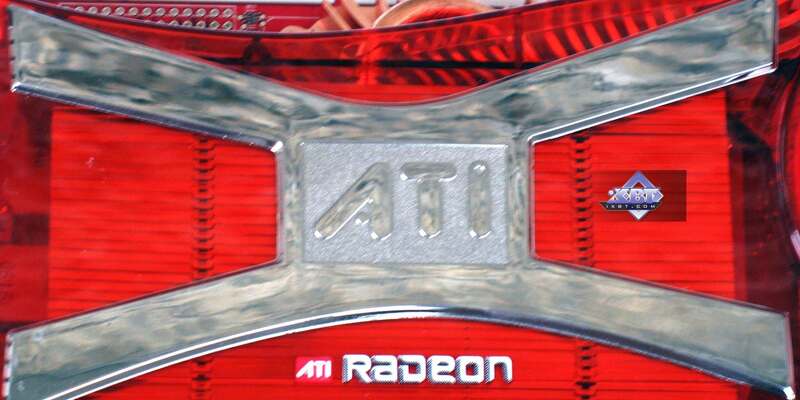 ATI offers better AF, NVIDIA — AA. Trust me, you won't see any difference in quality, unless you scrutinize enlarged screenshots. That's why we actually can compare both modes (with some approximations, of course). Considering the capacity of the latest generation of accelerators, performance analysis should be performed only with the AA+AF load. Otherwise, it would be a competition of processors or system units rather than video cards. Sometimes in HQ mode only. Of course, in heavy applications, where powerful video cards demonstrate mediocre performance even without AA+AF, we shall analyze these modes as well. We have also compared the X1900 XTX and the X1950 XTX, operating at the frequencies of the former card, in order to find out whether there were some changed made to the core structure. Tests in this game should be run in HQ mode only, because modern Hi-End accelerators offer decent gameplay in this mode. The X1950 XTX was utterly defeated not only by the dual-GPU 7950GX2, but also by its direct competitor (in price) — 7900GTX. Increased memory bandwidth of the X1950 (in comparison with the X1900) added up to 10% of performance in this mode. In case of regular AA+AF — up to 12%. We should do justice to the new card from ATI - it takes up the lead under such a load (AA4x+AF16x in high resolutions). HQ mode in this game is slower, but it's still very fast in 1024x768. 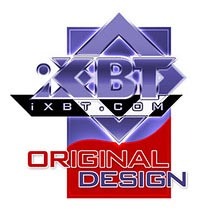 On the whole, the X1950XTX is also outperformed by its competitors. But in case of AA4x+AF16x, it goes on a par with the 7900 GTX. Performance gains from the increased memory bandwidth in the x1950 in a simple AA+AF mode are not very high here - the game is more critical to the GPU power. But the HQ mode really welcomes the increased memory bandwidth, especially in high resolutions. The situation changes a little here. The HQ mode helps the X1950 XTX card to catch up and even outperform the 7900 GTX. But the 7950 GX2 is still the first. The new card becomes a leader under normal AA+AF load in high resolutions. Having analyzed the above tests, we've come to the following conclusion - the higher a resolution, the more advantage is gained by the X1950 (or the less it's outperformed). What concerns performance gains from memory bandwidth, everything is like in the previous test. We can see in this test that it's useless to analyze the results in HQ mode, because the game is not fast enough even without it. In case of the usual AA+AF load, the X1950 XTX defeats the 7900 GTX, being outperformed by the 7950 GX2 again. Increased memory bandwidth in the x1950 (compared to the x1900) provides 8% performance gain. Even though the x1950 demonstrates some performance gain from the increased memory bandwidth in HQ mode, the new product is still generally defeated. We speak of the HQ mode, because it's a sin to use any other mode in this game on powerful accelerators. HQ mode has led the X1950 to defeat as well. In the usual AA+AF mode, it's on a par with the 7900GTX, but the 7950GX2 is still victorious. An utter defeat. NVIDIA products are faster in every respect. That's synthetics. Everything is right according to the specifications and expectations. Yep, the X1950 has slightly outperformed the 7900 GTX and hasn't caught up with the dual-GPU 7950. It's only natural. Execution speed of simple shaders plays an important role in this test. But the new product is not very good at it (as we have already noted). The same concerns texturing performance. Hence a fiasco. And vice versa. The X1950 is good at SM3 like no other model. That's why the 7900GTX is defeated. Only the dual-chip 7950 did not let the card outperform itself. 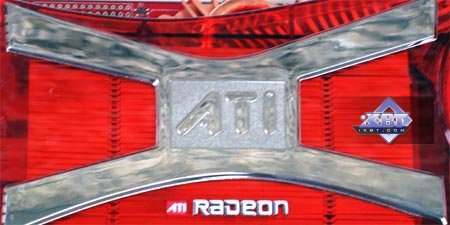 ATI RADEON X1950 XTX is obviously an improved modification, revision, of the previous flagship. According to our tests, the product fairs on the level of the 7900 GTX, sometimes it gets close to the 7950. We can say that it's almost a leader among SINGLE-SLOT and SINGLE-GPU accelerators. The 7950 GX2 still remains a leader among SINGLE-SLOT solutions (that is those cards that take up only one PCI-E slot). But! The announced price of $449 will encourage fans of the Canadian company! Its price being comparable to that for the 7900GTX (it may be even cheaper from the very beginning), the new product from ATI outperforms the former in a number of tests (the 7950GX2 is faster, but it's more expensive! ), it offers excellent characteristics — price/performance/features, and provides the best 3D image quality. Besides, don't forget that it's the first video card with GDDR4 memory. Another point - the X1950 XTX is now equipped with a very efficient and quiet cooler. That's good news for potential buyers, as the noise generated by powerful system units has become one of the major problems. It's even close to a disaster. We can only welcome the new product in this respect. But it should be noted that power consumption of the card remains on the same level, the card gets very hot. You should keep it in mind. Have a look at the environment temperature from the monitoring data above. You'll get the picture. Thus, if the retail prices come up to the recommendations, the X1950 XTX may become a very good bargain. But considering that the cards will appear in stores only by mid September (most likely later), we cannot forecast a price drop for the competing products from NVIDIA. I'll stress the important point once again: although these cards have become much quieter, they still dissipate much heat, so PC cases must be ventilated well. You will also need at least a 450-500 Watt power supply unit that can output up to 18-20A at the PCI-E end. A less powerful PSU may suffice sometimes, but it must offer honestly good characteristics. for the excellent design of the card, its cooling system in particular.